The attorney for two brothers involved in the Jussie Smollett case in Chicago says the pair have evidence backing their claims against the 'Empire' actor. NBC 5’s Ash-har Quraishi has the latest on the on-going saga. The attorney for two brothers involved in the Jussie Smollett case in Chicago says the pair have evidence backing their claims against the "Empire" actor. Gloria Schmidt, the attorney for Obabinjo Osundairo and Abimbola Osundairo, told Good Morning America Monday that the brothers have "tremendous regret...over their involvement in the situation." "I think once Mark Geragos [Smollett's attorney] and everyone starts looking into this situation, they're going to see really that my clients were just taken advantage of by someone that they trusted," she said. When asked if the brothers had evidence to back their explosive claims that changed the trajectory of the case, Schmidt said "of course." "And that's why when they went from persons of interest to suspects, they are free men and they are at home," she said. In a later interview with Access Hollywood, Schmidt said her clients cooperated with Chicago police immediately and presented evidence that was investigated. That same day, the duo walked out of the police department. A Cook County grand jury indicted Smollett on 16 felony counts Friday in connection with his reporting of the alleged attack he claimed to have suffered in Chicago's Streeterville neighborhood in late January. Police alleged Smollett staged the attack because he was unhappy with his salary. Schmidt said the brothers thought they were helping a friend who would in turn help their careers. "The issue here is that they were in a position with a friend who said, 'Let's basically pay you for training and then do a favor for me,'" she said. Smollett was indicted on 16 counts of disorderly conduct in filing a false report, court documents show. All 16 counts are Class 4 felonies, the most serious of which carry a maximum sentence of one-to-three years in prison. Probation is also possible. The indictment issued by the grand jury Friday lays out two separate sets of charges against the actor. The first set alleges that Smollett lied to responding officers immediately following the reported attack. "Allegations against Mr. Smollett are shameful and if proven, they are an affront to the people of Chicago who embraced him as a neighbor and respected him as a role model," Chicago police spokesman Anthony Guglielmi said in a statement. "We stand behind the work of our detectives." Smollett's attorneys told NBC News that they have yet to review the documents, but that they will "push back against" the charges filed against their client. Geragos, an attorney for Smollett, later released a statement saying the indictment was "not unexpected." "What is unexpected however, is the prosecutorial overkill in charging 16 separate counts against Jussie," Geragos said. "This redundant andvindictive indictment is nothing more than a desperate attempt to make headlines in order to distract from the internal investigation launched to investigate the outrageous leaking of false information by the Chicago Police Department and the shameless and illegal invasion of Jussie's privacy in tampering with his medical records." "Jussie adamantly maintains his innocence even if law enforcement has robbed him of that presumption," he said. 20th Century Fox Television declined to comment on the new charges against the actor. 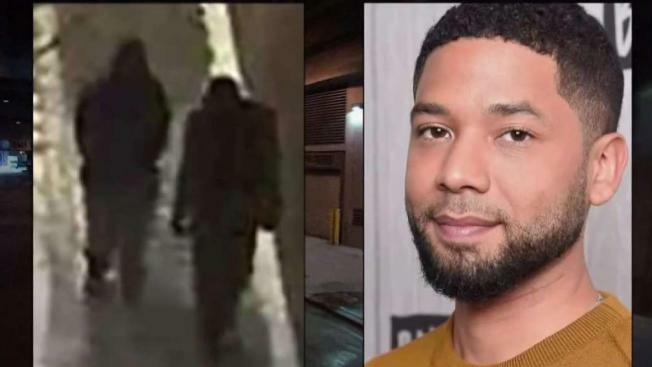 Chicago police said in a press conference announcing the initial charge that Smollett sent a "false letter that relied on racial, homophobic and political language" to himself and staged a hate crime attack in Chicago because he was "dissatisfied with his salary." Authorities had previously said new information "shifted" their investigation of the reported assault, in which Smollett told authorities he was physically attacked as he was returning home from an early morning stop at a Subway restaurant on Jan. 29. He said two masked men shouted racial, anti-gay slurs and "This is MAGA country!" as they looped a rope around his neck and poured an "unknown chemical substance" on him before running away. "Like any other citizen, Mr. Smollett enjoys the presumption of innocence, particularly when there has been an investigation like this one where information, both true and false, has been repeatedly leaked," Smollett's legal team said in a statement when he was initially charged. "Given these circumstances, we intend to conduct a thorough investigation and to mount an aggressive defense." Schmidt said she's "confident" the brothers "did not do a hate crime."